It’s easy to quote the scriptures. It’s easy to memorize the scriptures from Genesis 1 to Revelation 22. And it’s easy to know the commandments of God. However, the real task is doing what the Word says. Obey means to do what someone tells you to do. This means that in our walk with God we should do what His Word says. “When His message comes to you, there is but one thing to do. Just obey”. This reminds me of what Mary told the servants at a wedding in Galilee where Jesus turned water into wine. She told them to “Do whatever he tells you.” (John 2:5, NIV). The miracle took place when those servants obeyed what Jesus said to them, “Fill the jars with water” “Now draw some out and take it to the master of the banquet” John 2:7,8. Do you believe that God can change your water to wine? In other words, do you believe that God can change your mess into message that will inspire the world? In Luke 5:5, Simon had nothing after toiling for the whole night. He was discouraged, disappointed and had lost hope. But when Jesus spoke to him, he (Simon) answered, “Master, we’ve worked hard all night and haven’t caught anything. 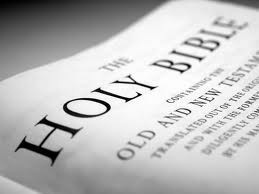 But because you say so, I will let down the nets.” (NIV). He obeyed and saw something he had never seen before. Jesus told them to do the ordinary and when they obeyed, God did the extraordinary. Think about what Jesus asked them to do for a moment; The first was to pour water into the jars. The second was to let down the net. Jesus did not expect much from them at all. All he needed was their obedience. In the same way, He is not expecting much from you. He wants you to obey his Word. People are going through difficult situations because they are not keeping first things first in their lives. Instead of them to seek first the Kingdom of God, they are chasing after physical needs. They have toiled throughout the night, like Peter, but have caught nothing. When you obey Jesus’ message and Seek the Kingdom of God above everything, I can assure you that everything you desire will chase after you. God placed everything you need in Jesus. In Matthew 7:7, Jesus said Keep on seeking, and you will find. Seek the Kingdom of God above all else, and live righteously, and he will give you everything you need. Friend always remember that when His message come to you, there is but one thing to do. Just obey, just obey.